Oracle‘s Larry Ellison has announced the world’s first autonomous self-driving database during a live event at the company’s Redwood City headquarters. Oracle will showcase this product in a presentation at its OpenWorld in October, however, the tool will be available to customers in December. Incorporating machine learning, this new version will not “require human beings either to manage the database or tune the database,” Ellison said. 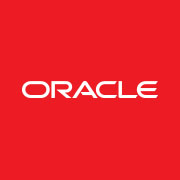 High level of automation: Organizations running database incur heavy expenditure on labor, Oracle’s goal in competing in platform services has been to deliver a high degree of automation to customers and to reduce the amount of labor that the customer would have to expend to run the database or the middleware. Automation also eliminates human error. Competitive pricing: The threat to Oracle is that Amazon has rolled out database competitors that also run on AWS. In order to tackle this, Oracle is offering compute and storage for the same price as Amazon. The way Oracle would compete with Amazon, considering that its list prices were the same was by reducing workload’s running time on Oracle infrastructure and consequently lowering customer’s bill. Customers that move from Amazon Web Services’ Redshift database to Oracle’s autonomous database can expect to cut their costs at least by half, claims the company. Ease of business: Oracle’s new cloud programs are aimed at addressing customers' cloud adoption challenges by improving and simplifying the way they purchase and consume cloud services. Oracle claims that its cloud database will have 99.995% system availability, less than 30 minutes of planned or unplanned downtime per year, because it will have the ability to automatically tune, patch, and upgrade itself while the system is running. In reality, businesses can now run Oracle databases on AWS and Azure. They pay for their Oracle database licenses and run the software wherever they like. Currently, customers are able to bring their on-premises licenses to Oracle IaaS. Customers will now have the option of incremental payment for both IaaS and PaaS automation software, and can use their existing on premise licenses for Oracle PaaS, including Oracle Database, Oracle Middleware, Oracle Analytics, and others. Oracle is now offering Universal Credits for buying and consuming of the cloud services. With Universal Credits, organizations can use any of the Oracle’s cloud services on demand, and customers, having one contract that provides unlimited access to current and future Oracle PaaS and IaaS services, can switch the PaaS or IaaS services they are using without notifying Oracle, and also benefit from using new services with their existing set of cloud credits when made available. This deal will be applicable to Oracle Cloud and Oracle Cloud at Customer.